Eliminate 99% of your network's SPAM traffic easily, without installing any programs. Thousands of users help update the SPFBL blacklist. The P2P system minimizes false positives, receive only valid emails. MX virtual server that eliminates excess data traffic on your network. Use the processing power of your servers with whatever it takes. Leave SPAM with us. We managed one of the first DNS block lists, aimed at Brazilian providers. SPFBL system smart scripts use the DNSBL project list, eliminating 99% of SPAMs. SPAM is the biggest threat to your company's digital security. Abduction of a bank password can do enormous damage. Sending SPAM causes an estimated worldwide loss of $ 14 billion. According to the Washington Post, every day 100 billion SPAMs are fired around the world. 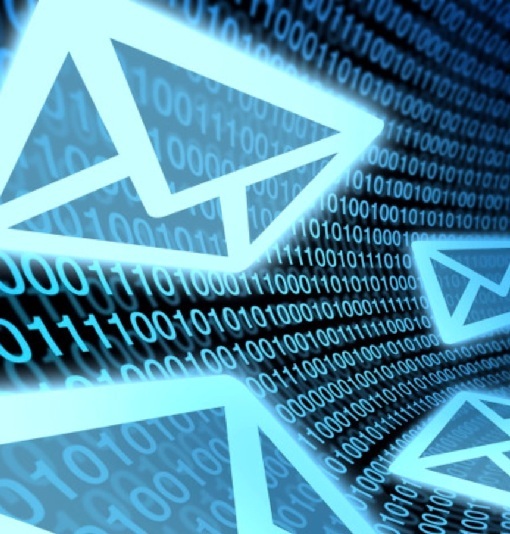 It is estimated that 88% of the worldwide e-mail traffic is SPAM. In 2010, companies spent $ 6.5 billion on anti-spam technologies. Eliminate SPAM traffic on your network by spending very little. Ao utilizar o sistema SPFBL, tivemos uma melhora significativa em nosso sistema AntiSpam, com pouquíssimos falsos-positivos, reduzimos drasticamente spams e Malwares recebidos via e-mail. Com uma equipe cordial e atenta a solucionar qualquer dúvida que apareça. A configuração do sistema é simples, mas com resultados imediatos. O sistema realmente vai melhorando com sua utilização, praticamente zerando a incidência de SPAM com o passar do tempo. Conheci a empresa pelo serviço DNSBL com bons resultados utilizando juntamente com um serviço de filtro de e-mail local. Assim que tomei conhecimento do serviço Spam Firewall imediatamente solicitei um período de testes para um cliente onde eu frequentemente tinha problemas de falso positivo da ferramenta local que utilizava. Posso dizer que foi um alivio ter feito a troca pois agora raramente sou solicitado pelo cliente a fazer alguma intervenção para liberar ou verificar algum e-mail retido. O serviço funciona muito bem, superou minha expectativa, a interface de gerenciamento é simples, funcional, e não tive nenhum momento de parada ou perda de e-mail. A interface poderia ser mais "rica", algumas melhorias na pesquisa pode ser feitas, entre outras, as quais já fiz a solicitação e prontamente aceitas. Serviço recomendado. Facil de implementar, não necessita recursos locais, uptime garantido. Tivemos grandes reduções no número de mensagens indesejadas e pouquíssimos falsos positivos. Antes cerca de 97% dos emails eram SPAM que causavam bastante incomodo aos usuários. Com a filtragem de MX ativa, praticamente eliminei o problema. O sistema SPFBL eliminou 100% de todos os spams que costumávamos receber, aumentando a produtividade de nossos vendedores. SPFBL servers use the Amazon AWS framework, the most trusted on the Internet worldwide. Intelligent and optimized SPAM recognition algorithms reduce false positives to less than 1%. Users can receive more than 160 SPAM messages in a single work day, spending about 6 to 8 hours per month just deleting undue messages. SPFBL is the most recent innovation in the fight against SPAM, being the tool that offers the lowest cost per user of the market and delivering the highest reliability. Please get in touch with us and ask for the ultimate solution to eliminate SPAM from your email accounts. In a few minutes, our servers take action and begin to eliminate unwanted messages. Through the SPFBL platform, the user can help the entire community by reporting SPAMs. In up to 30 days you can quit the service without paying anything for it. Get started with SPFBL now! Sending malicious emails is the main scam strategy on the internet to get bank passwords and steal sensitive information. Avoid major financial losses, contamination of workstations with viruses, and increase your business productivity. SPFBL is the most efficient and inexpensive solution on the market.